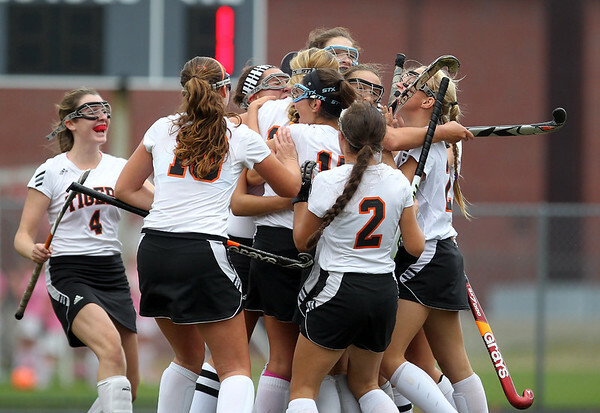 The Ipswich field hockey team mobs senior captain Nikki Pignone after she tied the game with no time remaining against Gloucester on Wednesday afternoon in their D2 North first round game. DAVID LE/Staff photo. 10/29/14.